SYNLawn® artificial turf is perfect for a variety of commercial applications such as business frontages, flat rooftops, recreational sites, country clubs and more! 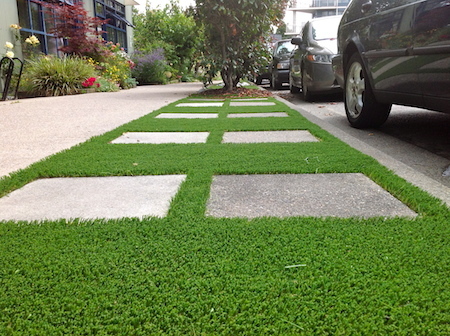 Our Vancouver commercial turf clients have tapped into a product that brings aesthetic beauty and cost efficiency together in a way few products can. SYNLawn® synthetic landscaping turf is appealing to a growing number of business owners and property owners. Vancouver residents enjoy outdoor living and we offer you more time to do just that! We all want the outdoor spaces of our commercial facilities to be appealing. The cost of landscape maintenance can be significant so why not dissolve that expense with our long-term solution? 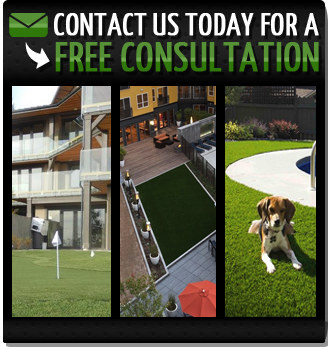 Artificial grass offers a green and pristine setting year-round, practically maintenance-free. The installation of our synthetic grass will save on water consumption, environmental toxins, grass allergies, lawn pests and more. 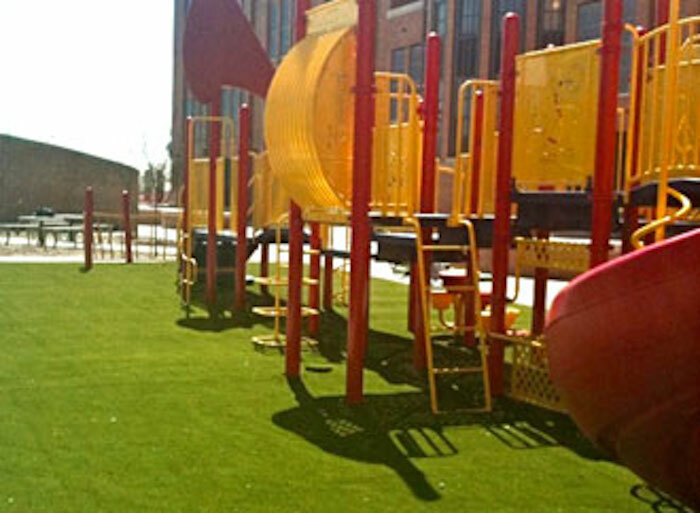 Commercial customers use our artificial turf products for common areas, indoor and outdoor golf putting greens, rooftop decks, business frontages, pet facilities and an unlimited space to enjoy a park-like setting. Learn more about the most realistic “fake grass” on the market and how it can benefit your commercial facility. The benefits of our commercial landscaping turf speak for themselves. Here are a few reasons why more and more commercial customers throughout British Columbia are choosing SYNLawn® synthetic turf. We know that our commercial customers are always looking for products that can provide optimum performance while benefiting their bottom line. SYNLawn® synthetic grass products will deliver on both of those goals, while bringing a beautiful outdoor aesthetic to your commercial space. SYNLawn® has full supportive documentation for commercial installs, including CAD details 3D drawings, specifications, manufacturer recommended installation procedures and copies of MSDS and product data sheets.